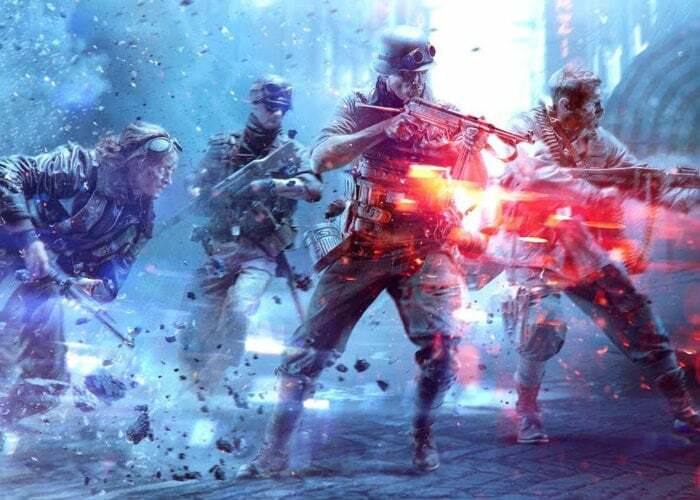 Gamers patiently waiting for the highly anticipated launch of the new Battlefield V Firestorm mode but will offer Battle Royale style gameplay to Battlefield V players in a few days time on March 25th 2019. May be interested in a the official Firestorm trailer published to the Xbox YouTube channel this week together with details from YouTuber “Jackfrags” to whet your appetite a little further and prepare you for the oncoming battles. – Work as a team to unlock high-risk, high-reward Objectives and claim the best loot while exploring a map ten times larger than Hamada. – Unleash Battlefield V’s signature destruction with combat vehicles, artillery strikes, and an expanding arsenal of weapons. – Play together to share gear, revive fallen squad mates, and outlast the Firestorm that incinerates everything in its path. – Overcome your foes to claim Objectives and get your hands on powerful loot, from the Panzer IV to the flare gun that calls in a V-1 rocket. – Jump into 17 types of vehicles, including tanks and towable cannons, a prototype helicopter, and even the coveted tractor. – Armor up, loot rare gear, then take on infantry and vehicles alike with weapons, explosives, and gadgets.